Hari Raya…A happy day…the day that we’ve been waiting for after a month of fasting. What I love most about Raya is I can eat and eat lots of food like rendang, ketupat, lemang and all time favourite, lots of Raya cookies or kuih raya. Some more, I really appreciate the spirit of togetherness during Raya. Usually, we only get to meet our relatives during this festive season. I personally think it’s a wonderful day and we can celebrate together. Within these few years, I’m missing my grandmother that passed away couple years ago. I really miss those days where she will cook for us her special rendang, Rendang Itik. We miss her cooking and miss her so much…and we will not forget to visit her grave especially during Hari Raya…And of course this Raya season the best thing is “Duit Raya” and usually in my family tradition the one who is not working will get “Duit Raya”. That’s all I like about Hari Raya…..
Memories….it last forever…What I cannot forget about my childhood memories in Ramadhan is when I was in standard 2, I was taught by my mother to learn how to fast. But, once I’m at school there’s a friend of mine that influenced me to break fast. She has given me a sweet and she said its all right to eat. When I came back home, my mom ask me whether I’m still fasting and I didn’t answer but I said to her that a friend gave me sweets and I ate it at school and my friend said its all right to eat. Thank God, she just smiles and doesn’t scold me. She said its ok, but if we fast, we cannot eat. Then after that day, I’ll remember not to eat when I’m fasting. And of course, during Ramadhan, memories that I cannot forget is playing fire crackers with my cousins. Although I’m afraid but because when I saw my cousins play the fire crackers happily I’m eager to play it too…. If talk about my favourite, I have a lot of favourite things. So, I’ll talk about my most favourite subject. Of course, it’s my beloved cat. Her name is Bella. She’s very cute and cuddly. She is so huggable. My family and I really love her. A lot!!! Actually, she was found by my mother around 1 year ago. When she came to my house for the first, she was very small and thin. But now, after 1 year past, she became a very fat and cute cat. For me, having pets will give her peace of mind and happiness to us. That’s what I can describe about Bella. She gives me peace of mind and sometimes if I’m sad I will hug her and I will feel better. Sometimes, I felt that she understands when I’m feeling sad. I think it’s amazing how pets can give us such peace. Love u a lot and always BELLA!!!! This song is all about love not just love between man and women but also love in universal perspective such as to God and family. Basically this song is about mother and daughter relationship. This song describe how the mother has made lots of sacrifices and the daughter never forget the hardships she’s done for her and always be there as a shoulder to cry on. This song is about hope and dreams if we work hard, we will have succeed in what we do and don’t loose hope in our dreams. Basically, this song is about love between a man and a woman and what else can we say, its all happy and good things. U- Understanding. I like to help others and understand their problem and try to be there and be good listener. R- Respect. I always respect others especially older people and will cherish their work. A- Adorable. I like adorable and cute things like cats and cute things. 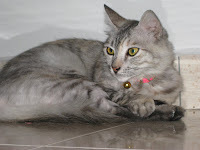 Really love my cat…Bella!!! T- Tolerate. I can tolerate and co-operate with other people and friends in a good way and really like to help my friends in need. I- Interesting/ Inspiration. I love interesting activities like hiking and I really like to try new things. I really love adventure. Q- Quarrel – I like to quarrel with my younger brother about all kind of things. But, although we quarrel a lot, I really love my brother…love u Luqman!! H- Humble. I’m a down to earth person. Hey guys!! !nice to meet all of you, even still new be one of your classmates I glad to see all of you!!!. 1. Nurul Izzaty. She is a nice person. she always with sakinah. I think they are close. she staying at sector B hostel. 2. Nor Haslinasari. I call her Seri or Lina. she is a friendly and cute person. what I like about her is she always her gangs which are Liyana, Izzaty and Sakinah. Nice to meet you. 3. Nur Sakinah. She is also a nice person. she likes to give a smile to me. and, also she is good friends of Izzaty. I always see they together. 4. Liyana Atiqah. I called her Liyana. She is very talktive. She always helped me. what I like about her she like to help everyone in our class. She also like to ask the lecturer about the subject that she not understand. 5. Nor Hidayu. I called her Ayu. She is a nice person. She is very close to Izzati. She is staying at Sector B hostel. She is also like to smile. 6. Nor Izati. I called her Izzati. She is a nice person. She is very close to Ayu. She is staying same hostel with Ayu. She came from the same place with me. I also like to talk with her. 7. Fatimah. I called her Tim. She is very nice person. She is very close to me. She always helped me when I have a problem. What I like about her is she likes to laugh. She also a friendly person. And, I would like to say thank a lot Tim because you have give a lot of help to me. 8. Farawahida. I called her Fara. She is a nice person. I don't know so much about fara. I just know she came from Johor Bharu. And, she is very close to Amirah. 9. Siti Amirah. I called her Amirah. She had just tranferred from UiTm Kedah. What I like about her is she likes to smile. She is also very nice and friendly. She is very close with Fara. For the boys, let me introduce all of you..
1. Jabbar. He lives in Tangkak. He stayed in Sempana Riau hostel. He is quiet person. I seldom talk to him. He always make our classmates to laugh at him. 2. Kocak. He lives in KL. He is very talktive to me because he is in the same speaking group with me. He is also a very nice person. 3. Hariz. I don't know about him because I still new. And, I seldom talk to him. I just know him from Tim. 4. Sabirin. I also don't about him because I still new in here. I even talk to him. Because he is very quiet person. 5. Adib. He lives in Selayang, Selangor. He is very close to Jabbar. I always met them together. He is staying same hostel with Jabbar. He always makes our class full with laugh because he likes to do free jokes. 6. Akmal. He lives in Johor Bharu. He is very nice person. He is very talktive to me. He is also very helpful. He likes about music especially in Nasyid. He is one of the nasyid group members in our UiTM, Johor.